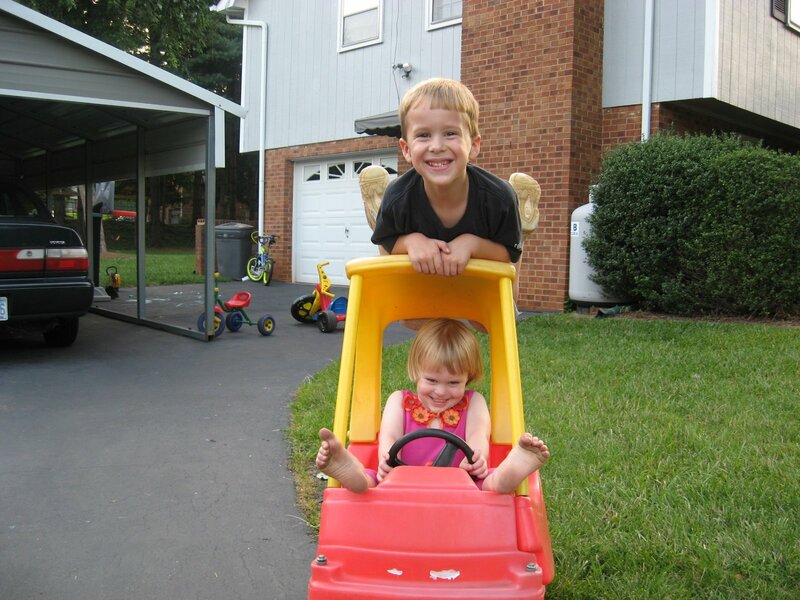 I want to wish my nephew, Stephen Pledger, a happy 5th birthday today! We just got to visit him and his family in North Carolina for our vacation. I can’t believe you’re really FIVE!!! Here are some recent photos of the birthday boy, and a few friends. 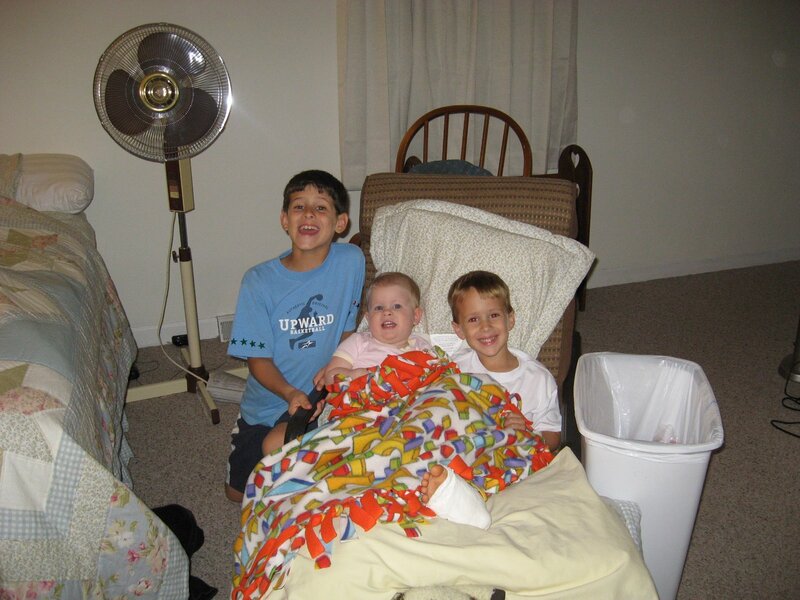 Here’s Andrew, Laci and Stephen. Stephen sure did love Laci! He loved playing with her and kissing her! 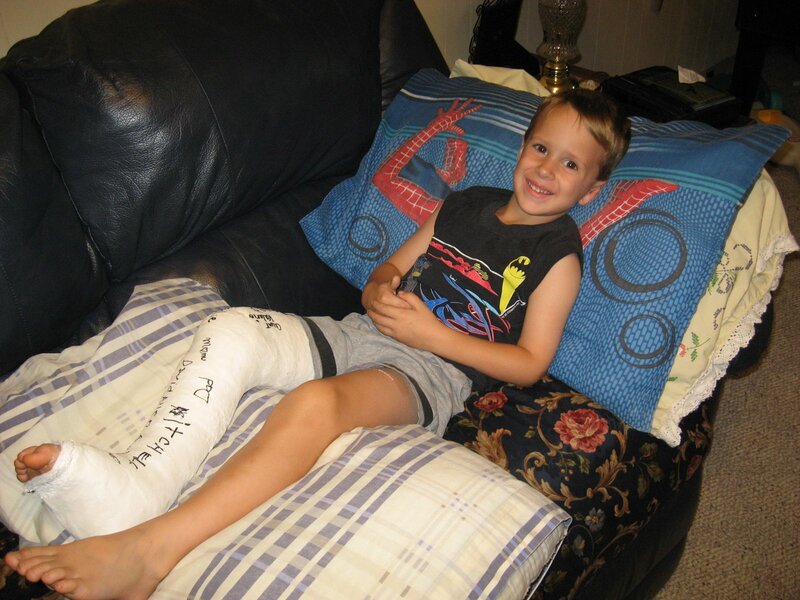 On Saturday, July 26th, he broke his leg while jumping on the trampoline. :[ He has to wear the cast above for another week, and then a smaller cast for three more weeks after that. Stephen, I hope you have a wonderful birthday! I hope that cast isn’t bothering you too much! Next Post School Starts Tomorrow!! Thank you for posting my picture on your blog. I am so glad I got to see you a few weeks ago. I had a great time playing with my cousins.